Top 10 Sports Bars To Watch World Cup! The 2018 FIFA World Cup has arrived and with football fever sweeping across the nation, the quadrennial event is set to keep fans glued to screens as teams kick-off on the pitch. Kuala Lumpur is packed with sports bars where you can cheer-on with like-minded fans as the games play out. The first cricket-themed restaurant and bar in Malaysia, The Sticky Wicket combines sport and British quintessential fare with panache. The cricket motifs are ubiquitous here, along with huge flat screens and smashing cocktails. It’s the perfect place to watch the beautiful game so grab yourself a serving of cod and chips with a pint of Tiger and enjoy the match. 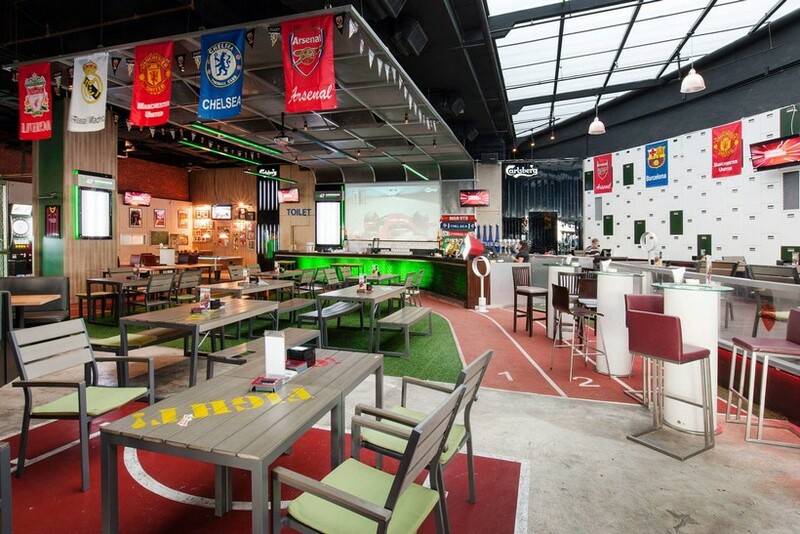 With no less than 33 flat screens and a few large projectors, this Bangsar hangout has been designed with the sports connoisseur in mind. No matter where you sit, your eyeline connects with a screen so you won’t miss a thing. Gridiron gets packed on the regular, especially Mondays, Thursdays and Sundays where an all-day happy hour helps pull in the crowds. 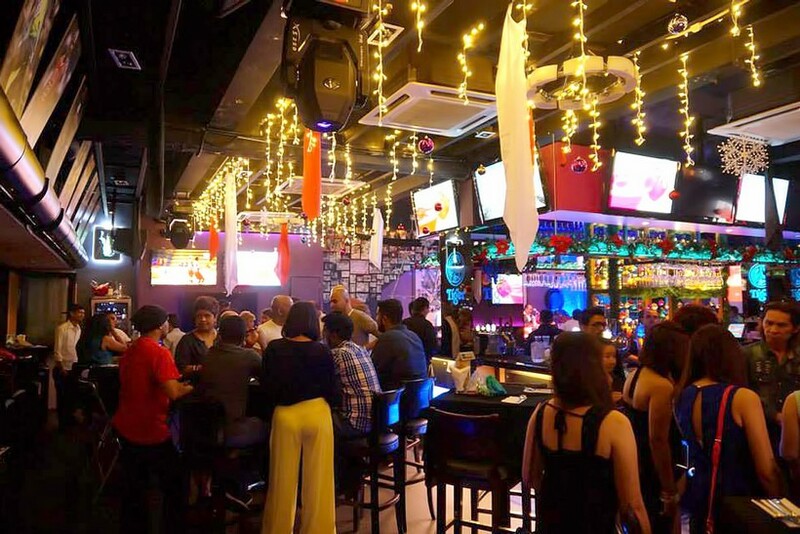 A mainstay on Changkat Bukit Bintang, The Green Man has withstood the test of time while some other outlets in this nightlife postcode come and go. Over the years this English tavern has gained an army of loyal customers who come for the pub-grub, homely atmosphere and friendly service. Did we mention they have Kilkenny draught here? Grab some friends, come for a long lazy lunch and catch the game while you’re at it. If you’ve never played the age-old pastime of beer pong, make a beeline for this TREC outlet – a space dedicated to the bar ‘sport’. 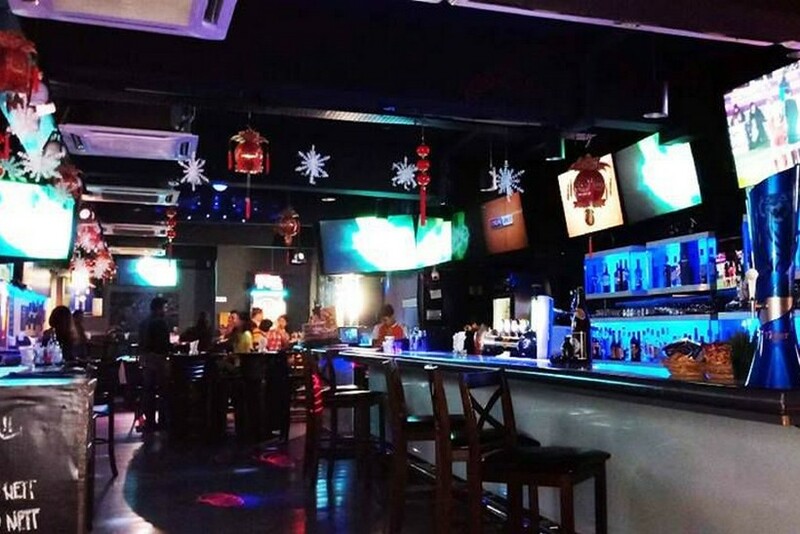 Billed as Malaysia’s first electronic pong concept bar, winners here drink for free! Naturally, the interior is decked out with huge flat screens so you can witness the World Cup unfold while you aim for the cups of Carlsberg. 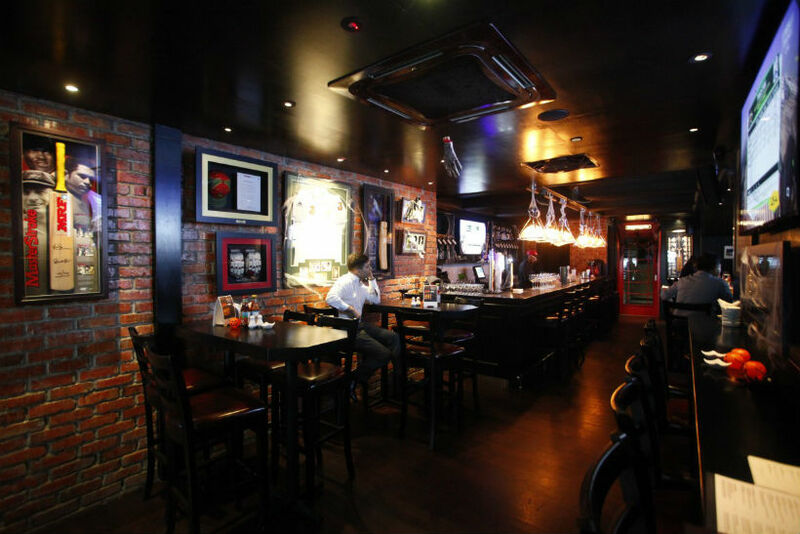 Situated in the up-and-coming area of Bangsar South, Hall Of Fame is a temple for sports nuts. 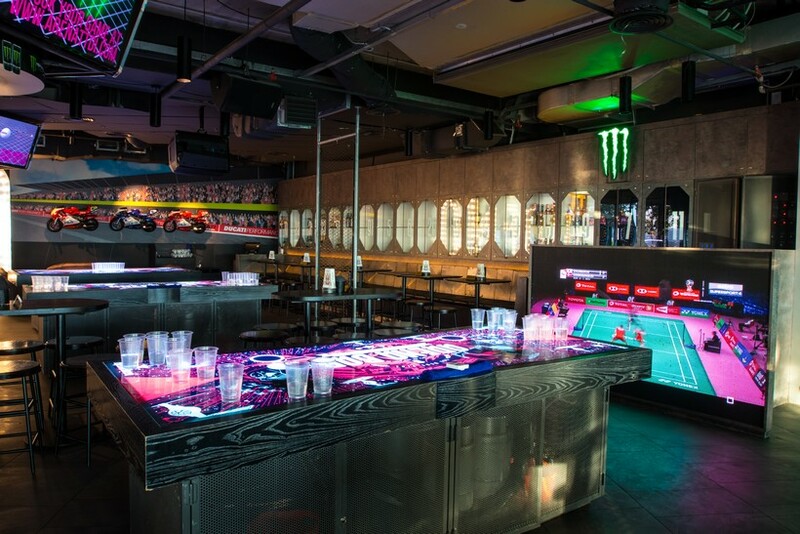 The long rectangular-shaped interior is filled with toys including dart machines, foosball tables, beer-pong and even Playstations. There isn’t anything lacking in this playground and you’ll also find plenty of beer promotions during tournament time. Tiger and Guinness run on tap here! 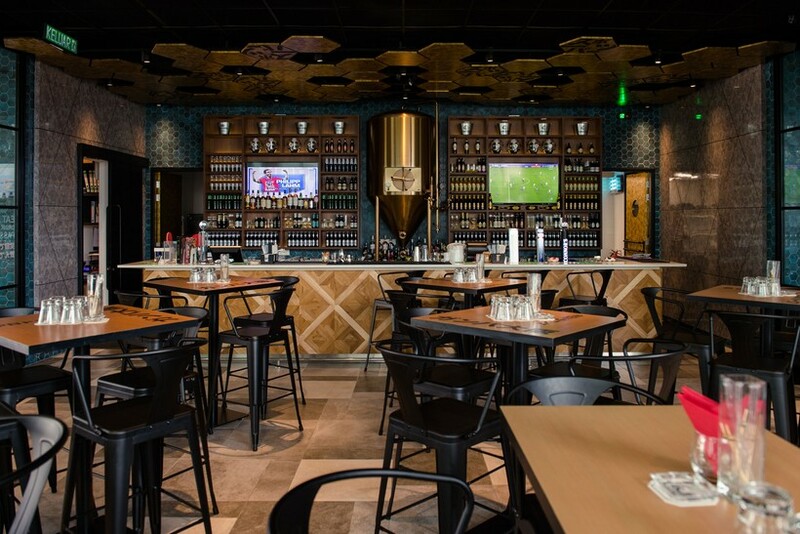 This trendy Japanese-inspired sports bar offers a huge variety of craft beers from the four corners. Be it yuzu, white, pale ale or porter, those that like a unique brew will be at home here. The menu is top-notch as well, featuring classic dishes made with a Japanese twist. Contemporary and sleek in design, this is a fine spot World Cup patronage this month. 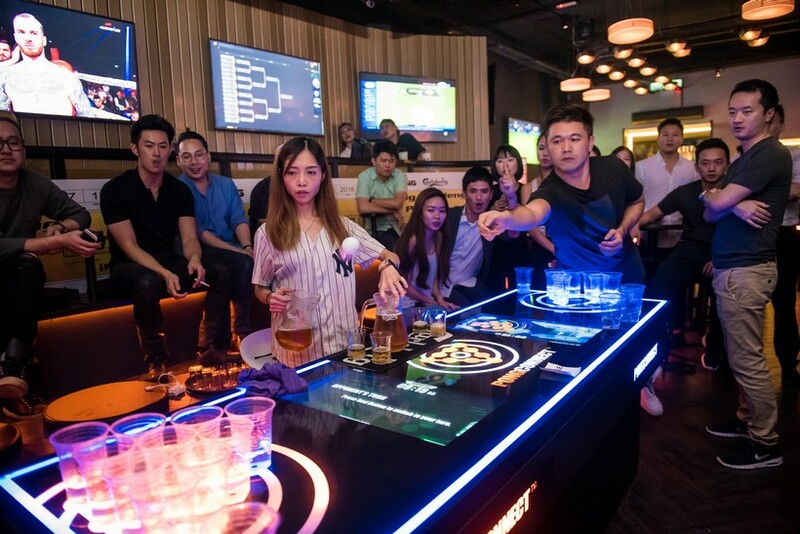 Score – as the name suggests – is another haven for the sports-addicted, with regular events such as pool competitions, dart tournaments and beer-drinking contests drawing crowds. 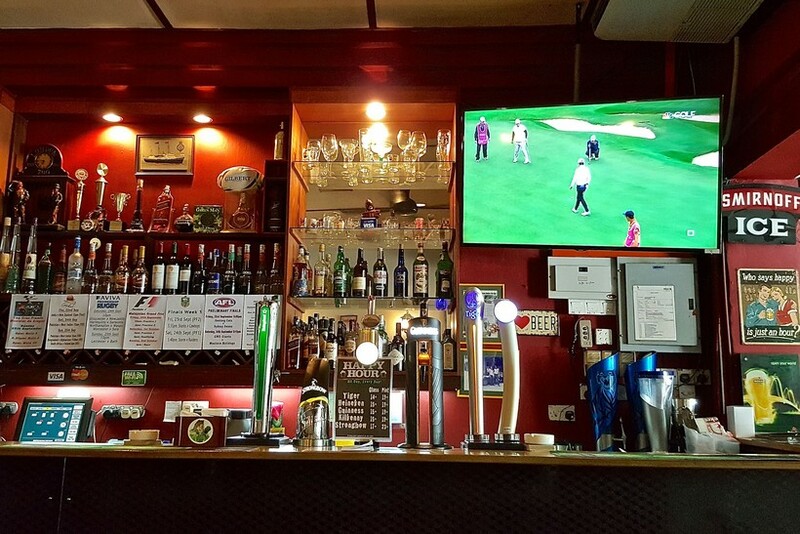 There’s a massive screen behind the bar which will keep your attention locked, while the mouth-watering bites of the menu will keep you fuelled up as the night progresses. Carlsberg, Asahi, Hoegaarden and Connor’s are all on tap here. This now-famous sports bar opened to great acclaim on the rooftop of Menara Ken TTDI and quickly became a favourite hangout. A winning combination of eye-catching design and lighting, awesome facilities (including state-of-the-art pong) and great location have placed Arena at the top of the league. Head here, or to the branch in central KL, for premium World Cup viewing. There are 14 giant TV screens to keep you happy in this cosy neighbourhood bar. What more could an avid footy fan want? 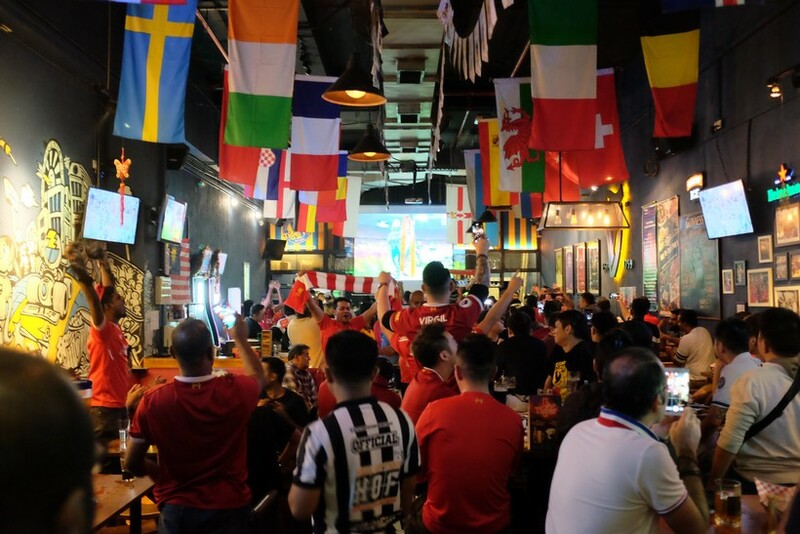 This plus an unbeatable atmosphere when the games get going, and some of the juiciest burgers in KL, have Hattrick a netted triple win with its customers. Grab a Tiger, Guinness or Strongbow to go with the burger and you’re golden! 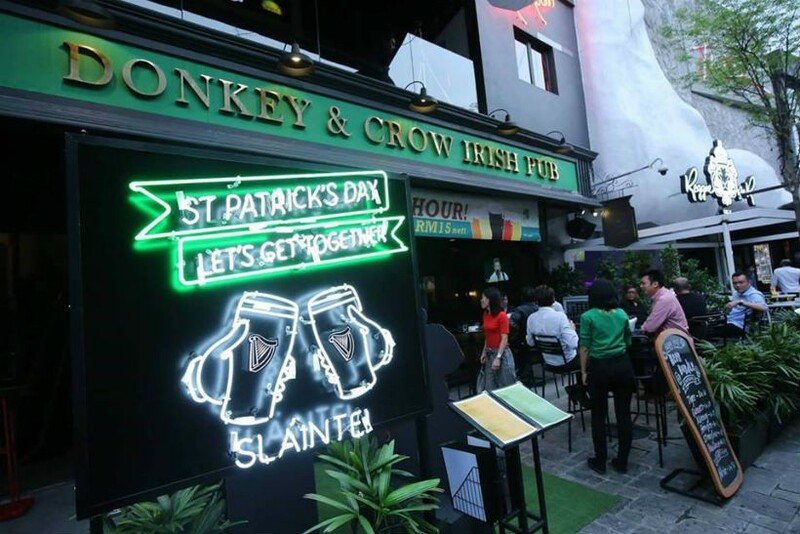 Take a trip to the Emerald Isle at Donkey & Crow Irish Pub where hearty dishes like steak and kidney pie, and braised lamb stew are the order of the day. A pint of Guinness here is a must while you root for your team. To top it off, there will be lucky draws and guess-the-match contests running throughout the World Cup with plenty of great prizes to win!